Bayonet are set to release forthcoming single ‘Weekend’ via Scruff of the Neck Records on Friday 23rd September 2016. 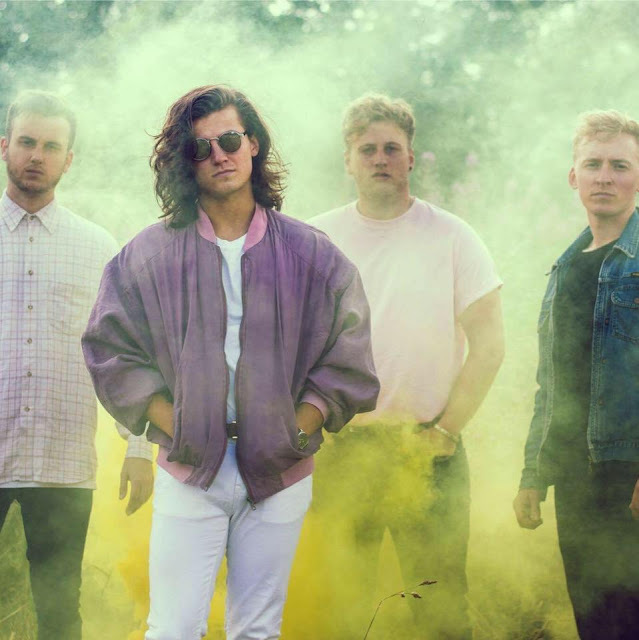 Combining a youthful exuberance with a rich musicality that otherwise belies their young years, Sheffield’s Bayonet have already eclipsed their contemporaries thanks to their tireless approach to gigging and a pair of well-received singles, both of which dropped earlier in 2016. With Summer behind them and the band fresh from a festival season that saw them wow crowds at both Dot to Dot and Tramlines, Bayonet are back with their infectious new single Weekend. Three minutes of button-bright indie-pop, Weekend builds on the upbeat aesthetic of previous releases while retaining enough nuance to feel like a step in a more mature direction. And love Bayonet they do. With a single launch party at Sheffield’s cult musician’s hangout The Rocking Chair close to selling out, as well as a UK tour booked in to coincide with the release, It seems that the reputation of four lads from the Steel City is beginning to precede them, and they couldn’t be more deserving.